I love making quilling tutorials! I have always wanted to be a teacher, and I was a school teacher for more than 5 years before I decided to stay home with my kids. Now one way that I teach is by offering my own free quilling tutorials online. But I also don’t like to re-invent the wheel. If there is already a great quilling tutorial out there for a specific design, style, technique, etc. then I prefer to guide people towards it rather than re-making it (unless I have a new spin on the idea). But a couple months ago I finally started! 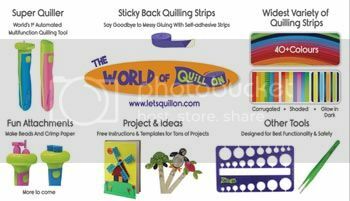 The new site is called Quilling Tutorials and you can browse or search for specific quilling tutorials. For each post I put up 1-4 pictures of the final product, a short description, a credit to the creator, and a link to the original tutorial so you can go make it! So there are no actual tutorials ON the site, but it is a hub for all the tutorials out there that are good. It is a work in progress, and I have a post going up every 2-3 days, so make sure you subscribe to the website or join the facebook page to keep an update on the newly posted tutorials. Some of them you’ll recognize, but some may be new for you. It’ll probably take at least a year to get as many up on the site as I want, but I think so far with almost 40 posts it is starting to be a useful place to go to if you want a tutorial of a certain type. One cool thing is that you can rate the tutorials on the site, so if you find a certain tutorial to be really helpful (or unhelpful), give it a rating! There are both picture tutorials and video tutorials. The video tutorials can be watched directly from the website, but they also have a link to the website of the person who created them. My hope is that this becomes a website people go to when they are searching for tutorials. It’ll be a great resource for people learning quilling, and it will be a great traffic source for those who make tutorials. Almost all of the tutorials are free, but I also link to some paid tutorials (I do mention in the description if it is a paid tutorial). If you have any comments, questions, or suggestions for the new quilling tutorials website, do let me know! 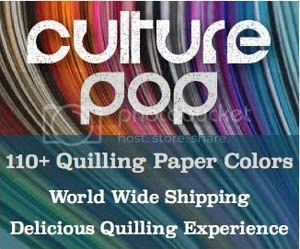 NextGiveaway – Win a Gift Certificate to Shop for Paper Quilling Supplies! Thanks so much for your lovely comment, Arleen! Leren doe ik graag, ook van mijn foutjes. What a lovely story, thanks so much for sharing! I haven’t done any hummingbirds, and I’ve only done tiny ladybugs. It sounds like it will be a lovely design, though!